Qualcomm led the gainers in the technology sector, adding a 17 rise to Tuesdays 23 gain on news that the mobile chipmakers bitter legal dispute with Apple is over. In a related move, Intel climbed 3.4 after pulling out of the smartphone modem market. Investors continued to pore over company earnings reports, focusing on companies profit and revenue outlooks for the rest of this year. Analysts expect the first quarter results for S&P 500 companies overall to be the weakest in nearly three years. 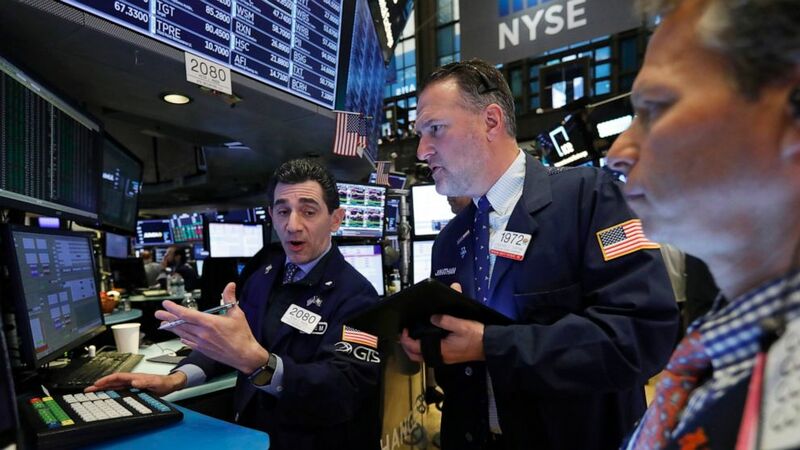 The lower start on Wall Street followed uneven trading in global markets, despite news that Chinas economy grew at a better than expected 6.4 annual pace in the January-March quarter. The data suggests Beijings efforts to halt a slowdown are working, but its economy is still growing at the weakest pace since 2009. KEEPING SCORE: The S&P 500 fell 0.2 as of 10:14 a.m. Eastern Time. The Dow Jones Industrial Average slid 47 points, or 0.2, to 26,405. The Nasdaq composite lost 0.1. The Russell 2000 index of small-cap stocks gave up 0.5. NOT VERY HEALTHY: Several health insurers helped pull the market lower. Anthem fell 4.6, Cigna lost 3.2 and UnitedHealth Group slid 3.1. SPOTTY RECEPTION: Sprint and T-Mobile shares fell after a Wall Street Journal report cast doubt on the likelihood of government approval of the companies 26.5 billion merger. The Journal said that Justice Department antitrust personnel reviewing the takeover questioned the companies reasoning for it in a meeting this month. Talks between regulators and the companies are ongoing, according to the report, which cited unnamed people familiar with the matter. Sprint shares slid 4.1, while T-Mobile dropped 2.9. BIG SETTLEMENT: Qualcomm added 17 to Tuesdays 23 gain on news that the mobile chipmakers bitter legal dispute with Apple is over. It centered on technology that enables iPhones to connect to the internet. The settlement, announced Tuesday, requires Apple to pay Qualcomm an undisclosed amount. It also includes a six-year licensing agreement that likely involves recurring payments to the mobile chip maker. Apple rose 0.5. ON TRACK: Railroad operator CSX climbed 5.3 a day after it turned in quarterly results that topped Wall Streets forecasts. August 3, 2018 Comments Off on Ebola is back in Congo. This time it may be harder to fight.